I am the biggest fan of crockpot freezer meals. The idea is that you take a chunk of time and put together several meals, freeze them and then when you’re ready cook them. This is awesome for those days that you just don’t have time to make dinner or, if you’re like me, you just don’t feel like making dinner. Dumping the contents of a plastic bag into your crockpot takes hardly any energy at all. 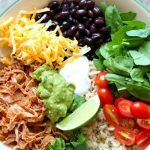 You may remember my 20 crockpot meals in less than 3 hours post and 8 healthy crockpot meals in one hour (and my newest one 7 meals in 55 minutes). 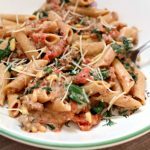 This post is a little different but it allows you to pick out the recipes that sound the most appealing to you and your family. I hope this helps you get some great ideas and get dinner on the table. Follow instruction #1 here. And instead of putting everything in the slow cooker, place ingredients in a gallon size freezer zipper bag. When ready to cook, pour ingredients into slow cooker. If thawed, cook on low for 2-3 hours. If frozen, cook on low for 4-5 hours. Then follow instruction #3. Follow instruction #1 here, except add everything into gallon size freezer zipper bag. Freeze. When ready to cook pour ingredients into slow cooker. If thawed, cover and cook on low for 6 hours. If frozen, cover and cook on low for 8 hours. Then follow instructions #3-#5. Follow instructions #1 and #2 here except add everything into gallon size freezer zipper bag. Freeze. When ready to cook, pour ingredients into slow cooker. If thawed, cover and cook on low for 4-6 hours. If frozen, cook on low for 6-8 hours. Then follow instructions #3 (the second part) and #4. Add all ingredients except for potatoes to gallon size freezer zipper bag. Freezer. When ready to cook, pour ingredients into slow cooker. Cut up potatoes and add to the slow cooker. If thawed, cover and cook on low for 6-8 hours. If frozen, cover and cook on low for 8-10 hours. Follow the freezing instructions listed at the bottom of the recipe in this post. Follow instructions #1-3 except add ingredients into a gallon freezer zipper bag instead of into the slow cooker. Freeze. When ready to cook dump contents of bag into slow cooker. If thawed, cover and cook on low for 2-4 hours. If frozen, cover and cook on low for 3-5 hours. Follow instructions #5 and #6. Add all ingredients to freezer zipper bag. Freeze. When ready to cook dump contents of bag into the slow cooker. If thawed, cover and cook on low for 4-6 hours. If frozen, cover and cook on low for 6-8 hours. Shred up chicken and serve with rice. Follow instructions #1-3 here, except instead of adding everything into the slow cooker add it all into a gallon freezer zip bag. Also do not add the potatoes at this point, they don’t freeze well. When ready to cook, dump contents of bag into the slow cooker. Add in the potatoes. If thawed, cover and cook on low for about 6 hours. If frozen, cover and cook on low for about 8 hours. Then follow instructions #5-7. Follow instructions #1 and #2 here. Except instead of adding ingredients to the slow cooker you’ll add them to a freezer zipper bag that is gallon size. Freeze. When ready to cook dump contents of bag into the slow cooker. Cover and cook according to directions in the recipe. If the contents are frozen, you’ll add 2 hours to the cooking time. Follow instruction #4. 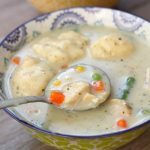 Combine the chicken, salsa, and cream of chicken soup in a gallon size zipper freezer bag. Freeze. When ready to eat, pour contents of bag into the slow cooker. Follow instruction #2, 3 and 4. If contents of bag are frozen add 2 hours to the cooking time. Add chicken, chili sauce, apricot preserves to gallon zipper freezer bag. Freeze. When ready to cook dump contents into the slow cooker. If thawed, cover and cook on low for 2-4 hours. If frozen, cover and cook on low for 4-6 hours. Remove chicken and shred. Cut up cream cheese into cubes and stir into the slow cooker. Stir chicken back in. 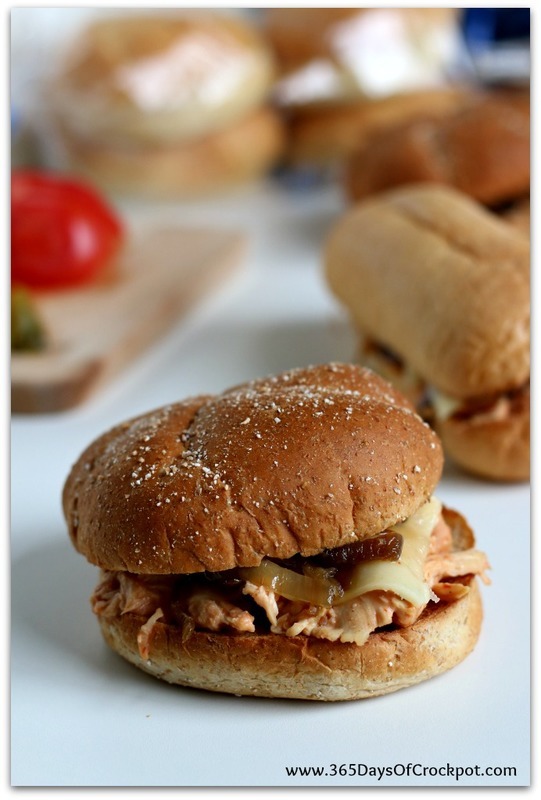 Serve chicken on toasted buns or rolls. Do instructions #1-3. Except instead of adding the ingredients to the slow cooker add them to a gallon freezer zipper bag. Freeze. When ready to cook pour contents into the bottom of the slow cooker. If thawed, cover and cook on low for 6-8 hours. If frozen, cover and cook on low for 8-10 hours. Do instruction #5. Do instructions #1 and 2. Except put the ingredients into a freezer zipper bag instead of the slow cooker. Freezer. When ready to cook, dump contents of bag into the slow cooker. If thawed, cook on low for 4-6 hours. If frozen, cover and cook on low for 6-8 hours. Do instructions #4 and 5. Do instructions #1 and 2. Except instead of adding ingredients to slow cooker add them to a gallon freezer zipper bag. Freeze. When ready to cook, dump contents into the bottom of a slow cooker. If thawed, cover and cook on low for 6-8 hours. If frozen, cover and cook on low for 8-10 hours. Do instruction #4. Do instructions #1 and 2 except don’t add the potatoes yet and instead of adding ingredients to the slow cooker add them to a gallon zipper freezer bag. Freeze. When ready to cook, dump contents of bag into slow cooker. Add in the potatoes. If thawed, cover and cook on low for 4 hours. If frozen, cover and cook on low for 6 hours. Do instructions #4, 5 and 6. Do instructions 1, 2 and 3. Except instead of putting the ingredients into the slow cooker put them into a freezer zipper plastic bag. Freeze. When ready to cook dump the contents of the plastic bag into the slow cooker. In thawed, cover and cook on low 8-12 hours. If frozen, cover and cook on low for 10-14 hours or on high for 6-8 hours. Do instructions #5 and 6. P.S. 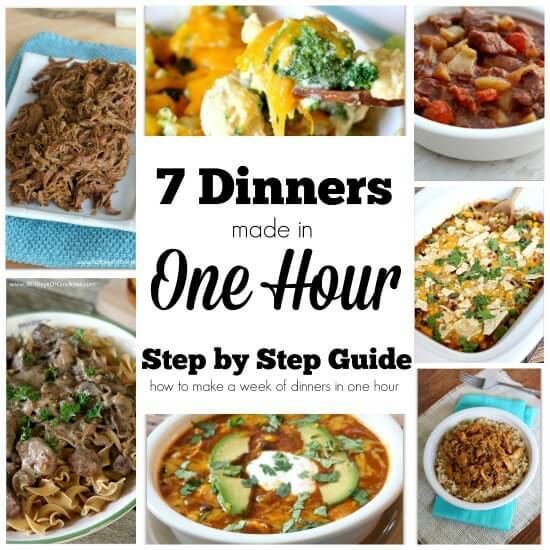 Check out my newest ebook how to make 7 different meals in 55 minutes! Check out my first e-book on how to make 20 meals in 3 hours. It’s only $3.99! Just looking through these great sounding recipes! Can’t wait to try several of them. which specific recipe were you looking at? For the sloppy joe, do you cook the meat before or do you put it in the bag/freezer raw? Thanks! you just put it in the bag raw! These recipes look great! 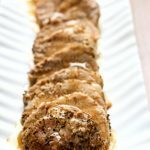 Most freeze-ahead slow cooker meals that I’ve found are really processed-food heavy (canned soups, ranch spice mixes), but these are not and they are interesting flavors! Can’t wait to try them! 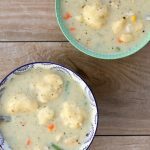 I love slow cooked meals, but often times running out of time to cook it the traditional slow cooked way, so I use a pressure cooker (it is the best for kitchens!) if I am in a hurry. I will try your suggestion to cook in large batches and freeze it, I never thought of that! Believe it or not I haven't used a pressure cooker before. BUt I'm tempted to buy one. They can speed up cooking so much. 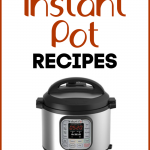 My friend Barbara writes a blog called Pressure Cooking Today…you should check it out. this is exactly what I need at this busy time of year! Heather, I know. it's the best. Thanks for posting this. I'm going to make several of these and freeze them. When it's cold as cold as it is right now, I just want to read and not cook but want a good hot meal for dinner. These recipes are perfect for that!